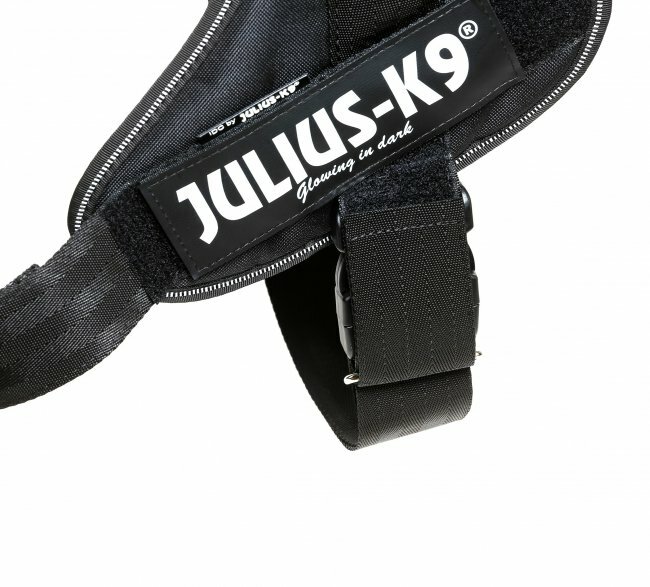 Taking thorough measurements of your dog is essential for choosing the correct harness size. Place 4 fingers behind the front legs to find where to measure the chest (girth). We offer IDC® Powerharnesses with safety locks, these products are designed for enhanced safety. 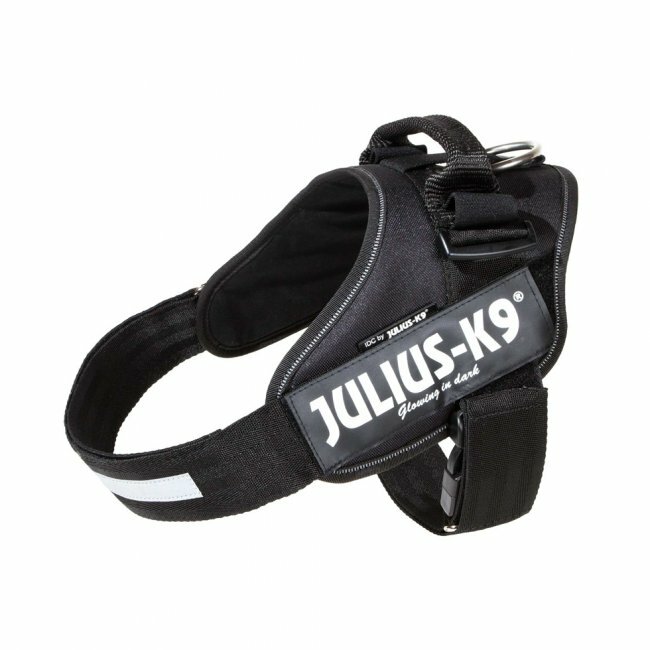 The hook & loop mounting safety lock was developed by Julius-K9® in 2004, chiefly designed for service dogs. 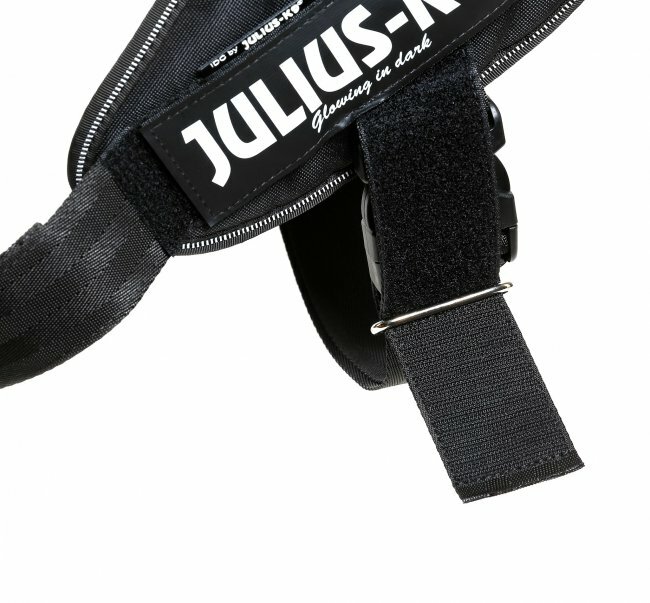 This practical accessory increases the load-bearing capacity of the buckle under the chest by 60 kg. It ensures safe use even in case of damaged (chewed) buckles. It has been in use by the City of London Police Dog Unit since 2013. Side pockets are practical for carrying documents or treats. They are available in different sizes and colours. Torches and side pockets can be attached simultaneously. The accessories are not part of the dog harness.